One of my former PT students without previous pro sports experience landed a job in professional sports. I was really excited for him for him to land this opportunity. Many PT’s out there have similar desires but just never get a shot. In this former student’s case, it’s particularly challenging because he a) is not also a Certified Athletic Trainer (ATC), and b) doesn’t really have previous pro sports experience. Many times, physical therapists in pro sports are dual-credentialed as ATC’s or have prior experience in pro sports. The student gave me a call and wanted to “pick my brain” about any advice or guidance I could give on working in pro sports. Here’s a summary of what I shared with him. The head athletic trainer is in charge. Period. In a clinical setting, PT’s oversee the care of athletic trainers. However in athletics, that is often just the opposite if you are support staff. Therefore, everything has to go through him/her as the head. You’re there to help in any way you can or do what you are asked to do, even if you disagree with the approach or the plan. Sometimes this can be challenging, particularly if treatments approaches are outdated. Keep in mind too that there are some times “politics” that dictate how things are done too. In pro sports especially, head athletic trainers have a ton of pressure on them. You have to do everything you can to minimize adding stress. You do that by communicating regularly and doing what is asked of you. Don’t try to show off what you know – let it happen. Whenever anyone gets their break in pro sports like I did, you’re not only excited for the opportunity, but inherently, you also want to show you belong. As a result, people can try too hard to show athletes and other support staff what they know. Resist that urge and let it happen. Don’t go overboard with fancy terms or techniques. Athletes will see through it. If you know your stuff, everyone will soon learn. No surprises. One of my former mentors told me that and it’s true. This goes back to point #1. As the head athletic trainer of a pro team, you have to know everything that’s going on. If an athlete approaches you to talk about an injury or a problem and you don’t share it with the head athletic trainer, this could be disastrous. If when game time or practice rolls around and this athlete can’t go, the coaches will be beating down the door wondering what’s going on. If the head athletic trainer isn’t in the loop, it makes him/her look really bad as well as the staff. Not good. It’s certainly OK to treat an athlete if you’re the only one around, but you always have to tell the head athletic trainer what you found, what you did, and what you told the athlete. To be on the safe side, clear all of it with the head person first. If players trust another staff member, don’t take offense. Athletes, especially pro athletes, are creatures of habit. They have their superstitions – tape the left ankle first, stretch the right hamstring first, be the last one to get taped, etc. If they have their person that they trust and want to do their treatment or refuse treatment from you, don’t worry about it. Remember, it’s not about you. You need to have their best interests in mind, even if you know you are capable and can help. Mentally, it could change things for that athlete. Careful fraternizing. You spend so much time with these athletes both at practice, games, and on the road. You really get to know these athletes on a personal level – they tell you lots of stuff the media or the public never gets to hear. Similar conversations that would have with a friend or someone you confide in. It’s impossible not to develop a relationship with athletes from time to time. However, you always have to be careful with doing things outside of work. Amazingly, the situation with Blake Griffin and the equipment manager came up about a week later after this conversation. Equipment managers, athletic trainers, and team physical therapists should never be a story on ESPN’s “Bottom Line.” That’s the danger of getting too close. Humble yourself. For many years, I got tired of ATC’s that looked down on me for being a PT. It’s really petty, but there are some out there that think you “sold out” being a PT. Some ATC’s are threatened by having a physical therapist around too. Conversely, there are lots of PT’s out there that come off as know-it-alls and are “too good” to grab a water bottle or clean a whirlpool. There is shared responsibility on this issue, no question. That said, in the training room, it’s “all for one, one for all.” You got to do those “grunt work” duties that no one likes to do. It’ll build rapport with the other staff. Being an ATC first did help me because I know how a training room works, but the best thing to say in the training room is “can I help with anything?” Additionally, it’s important to realize that you don’t know everything. You can learn a ton from the athletic training staff and athletic trainers in general. I was always amazed at the “6th sense” some athletic trainers had about injuries and forecasting if a player would be ready to go for the next game. You can learn a ton from athletic trainers on ways to manage injuries and other rehab tips and tricks too. Training rooms should be a two-way street between PT’s and ATC’s. Do everything you can to facilitate that. Athletes will fish for opinions. Pro sports are a business. Lots of money on the line. So when it comes to injuries, surgeries, time loss, and the like, athletes will ask a bunch of staff for their input. This is precisely why everyone has to be on the same page with an athlete’s status. A good rule is to always ask if a) they have talked to the head athletic trainer about it and what he/she said or b) say that you’ll talk to the head athletic trainer about it because you want to make sure you are fully informed to avoid any miscommunication. 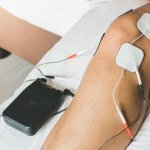 Prepare yourself for the “gurus.” It’s always tricky dealing with pro athletes because inevitably, they have some coach from their childhood or some guy that has wild claims about some product or device, or some guy that’s “a doctor of something, but kind of a massage therapist too” that sometimes fill their heads with mush. A recent story illustrates this involving New England Patriots QB Tom Brady. You have to learn to manage that. Usually, as long as the athlete isn’t hurting themselves, it’s one of those situations where you pick your battles. Badmouthing or discrediting this person or their product could backfire though – if he/she is someone the athlete trusts, the athlete may not look to you for help in the future. Don’t disagree in public. Training rooms can be tricky. You might see some things you vehemently disagree with, hear things that aren’t true, hear athletes being told stuff incorrectly, and the list goes on. It can be hard to bite your tongue. Always try and talk about these things privately. It seems intuitive to do so, but it can be tough! Put another way, if you all aren’t on the same page, the athletes collectively will lose trust and confidence in all of you. Obviously, that is not good. Enjoy it and have fun! What an awesome opportunity! Lots of PT’s would love to get a shot but don’t. In roles like this, you immediately become the coolest person in the room when you meet people. The locker room and training room are easily the best work environments to be – lots of laughs and hilarious stuff every day. You have the opportunity to work with some of the most elite athletes in the sport and get to hang out with them and build the camaraderie that we all covet at work. Oh, and you get to be front and center for professional sporting events. Yep, you’ll get butterflies too before the game – if not, you probably shouldn’t be in pro sports! Soak it in, work hard, and learn every day. Hope this list helps any physical therapist aspiring to be in professional sports. No question, being an athletic trainer first helped me with this, but this is becoming more difficult for PT’s to do this once they go down the road of PT. For you students out there and you have a desire to go this route, I encourage you to major or minor in athletic training in undergraduate school, then do PT after. 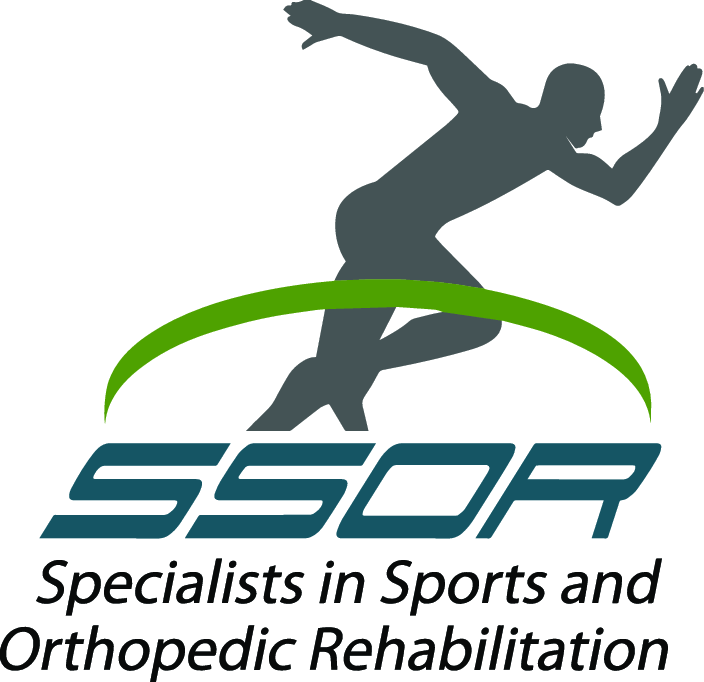 For those of you that don’t have this option, make sure all of your continuing education is focused on rehabilitation of the athlete and network like crazy. You may have to even go back to the days of volunteering or observing – yes, unpaid – to achieve your goals. Only you can decide if it’s worth it.